This week’s round-up of regional business news includes the upcoming semi-finalist showcase for the Bears’ Lair entrepreneurial competition, the Ontario government’s announcement of $3.8 million in one-time funding for rural municipalities in Peterborough-Kawartha, the Innovation Cluster launching the H2O Makerspace to support clean technology research, and Rustically Signed opening a new store and workshop space at Pie Eyed Monk Brewery in Lindsay this May. 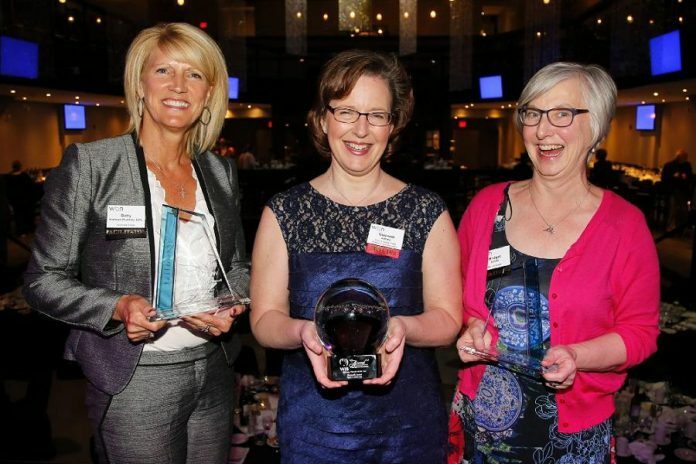 Also featured is the Peterborough DBIA and GreenUP being nominated for an award for the Vibrancy Depave Project, Sarah Lazure leaving the Peterborough Symphony Orchestra as its general manager, Trent University raising $114,300 for United Way Peterborough, and the opening of nominations for the Kawartha Chamber of Commerce & Tourism’s 2019 Business Awards of Excellence. 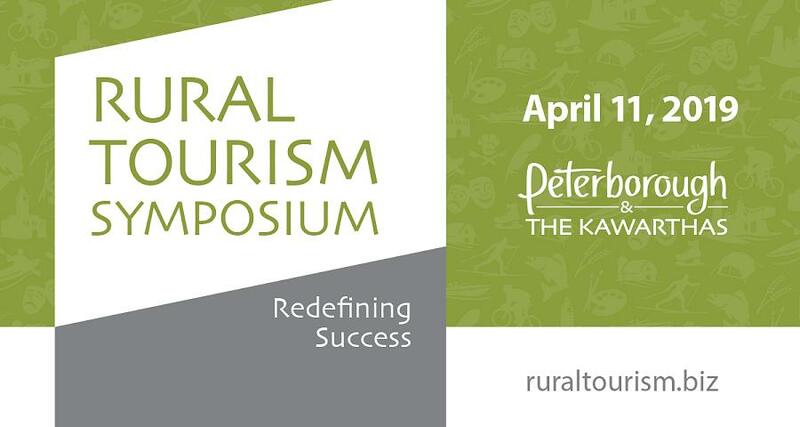 New regional events added this week include the Haliburton Highlands Chamber of Commerce’s Business & Community Achievement Awards Gala on March 30th in Haliburton, the Women’s Business Network of Peterborough’s Women in Business Award and the Judy Heffernan Award Dinner on April 9th in Peterborough, the Kawartha Lakes Arts Council’s community celebration and annual general meeting on April 17th in Omemee, the Haliburton Highlands Chamber’s breakfast meeting with MPP Laurie Scott on April 23rd in Haliburton, and the Trent Hills Chamber’s Celebration of Business Excellence Awards Ceremony on April 27th in Hastings. 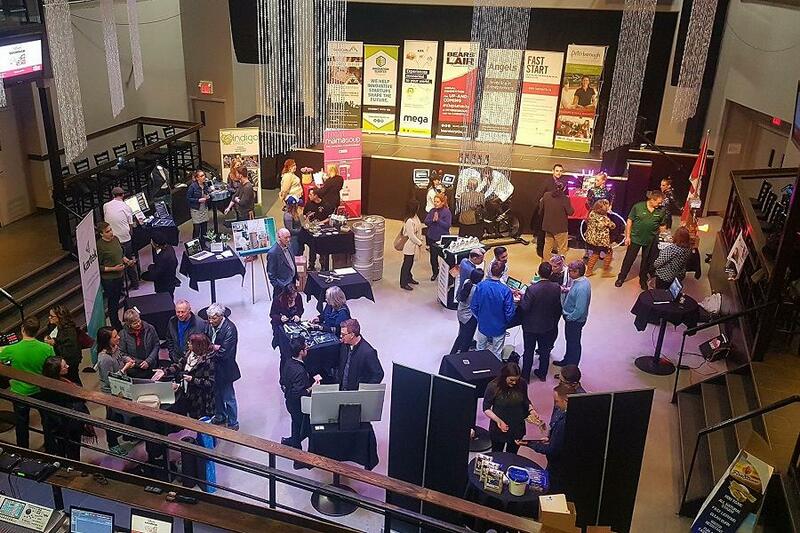 The Bears’ Lair entrepreneurial competition is hosting its semi-finalist showcase from 5 to 7 p.m. on Tuesday, March 26 at The Venue (286 George St. N., Peterborough), where the six finalists will be announced. Bears’ Lair is an annual competition for up-and-coming entrepreneurs in Peterborough and the Kawarthas. During the showcase event, 24 semi-finalists in two categories (Goods and Services and Innovation) will be displaying information about their businesses and how they operate. The Goods and Services semi-finalists are Uff Eats, Zumbini with Amber, PtboDTS, Farmhill Wedding and Events, Electric Juice Factory, KEG for KCBF, Three Sisters, Direct Visual Care, You’re Welcome, Mink Magic Beauty Bar, PedalBoro, Solid Leather, Refreshingly New, Tiny Greens, Rasa Ayurveda, and Emily Mae’s Cookies & Sweets. The Innovation semi-finalists are Netmechanics, AVROD, Alexander Optical, Biosphere GPS, Devout Fitness, Transit One, GWF, and Foreign Language 4 Life. 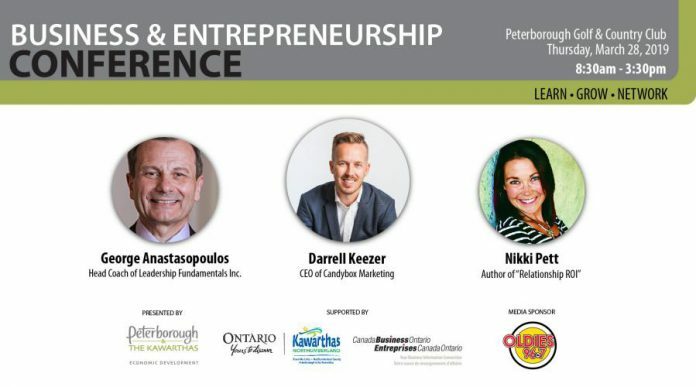 Attendees at the showcase event will have the chance to ask the semi-finalists entrepreneurship-related questions in a one-on-one Q&A session. 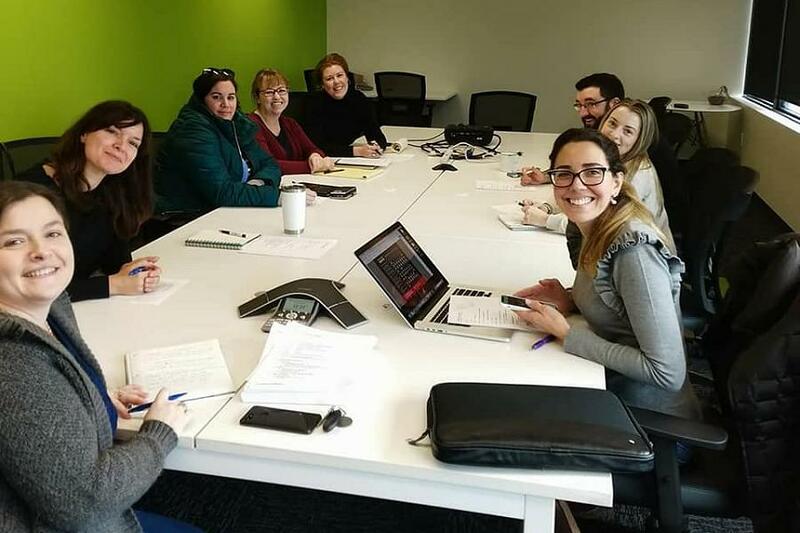 The Bears’ Lair committee judges, along with judges from the local business community, will select six finalists (three in each category) during the showcase and will announce the finalists at the end of the event. 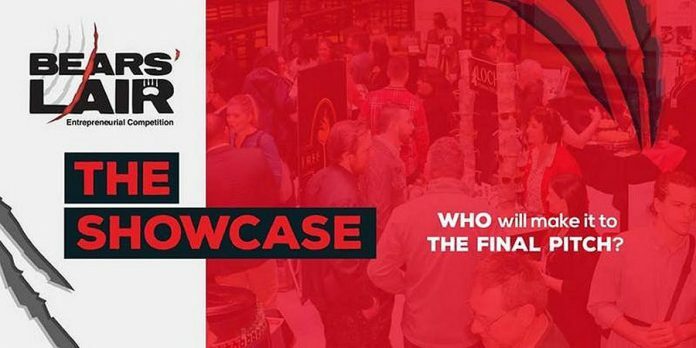 The finalists will move on to the final pitch event on Tuesday, April 30th at The Venue, where they will compete for thousands of dollars in cash and business support services. Register for the free showcase event at www.eventbrite.ca/e/bears-lair-semi-finalist-showcase-tickets-58268112493. Rural municipalities in the provincial riding of Peterborough-Kawartha will be receiving $3,783,351 from the Ontario government. 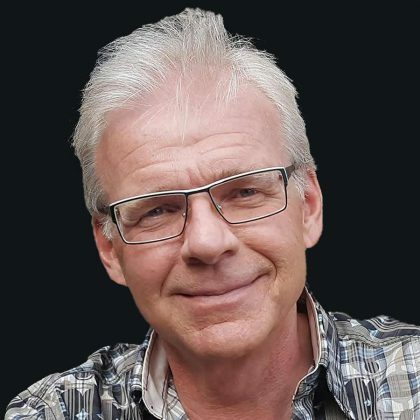 Last Wednesday (March 20), Steve Clark, Minister of Municipal Affairs and Housing announced $200 million in one-time funding for 405 small and rural municipalities, including $3,783,351 for municipalities in the provincial riding of Peterborough-Kawartha. The funding is intended for municipalities to modernize and improve the delivery of services. Municipalities will decide how to best target funding to benefit their local communities, but some examples could include service delivery reviews, development of shared services agreements, IT solutions, capital investments, or other projects. Last Thursday (March 21), the day before World Water Day, the Innovation Cluster Peterborough & the Kawarthas launched “H2O Makerspace: Powered by Franklin Empire Inc.” at the organization’s business incubator in the VentureNorth building in downtown Peterborough. 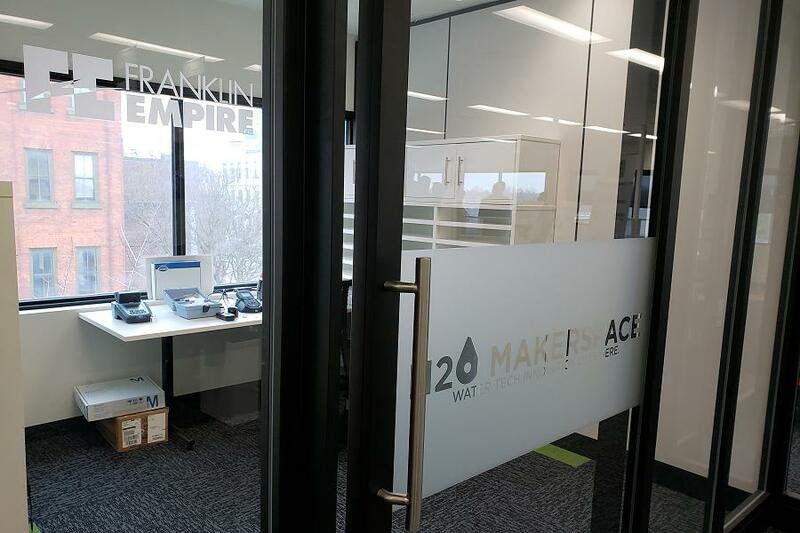 At the H2O Makerspace, startups specializing in clean technology (“cleantech”) will have access to more than 30 pieces of equipment to aid in the research and development of cleantech in water testing and more. The equipment includes culture incubators, a sample transport kit, a plan achromatic microscope, membrane filters, petri dishes, sterile glass pipets, and more. The October 2018 issue of Water Canada named Peterborough as the first best place to launch a watertech startup in Ontario and the second-best in Canada. Geographer and entrepreneur Jennifer Pate, known for her passion towards environmental sustainability and social accessibility to global waterways, was the keynote speaker at the H2O Makerspace event. She spoke about the affects of pollution on our bodies of water. Following the launch, a showcase was held featuring cleantech clients supported by the Innovation Cluster (including Aclarus Ozone Water Systems, SGS, and Simbi H2O) as well as representatives from Trent University, Fleming CAWT, Noblegen, and Cleantech Commons. Headquartered in Montreal with offices in Quebec and Ontario including in Peterborough, Franklin Empire Inc. is the largest independent electrical distributor in Canada. Founded in 1942, the company supply electrical components for new construction, renovation and the maintenance of industrial plants, residential and commercial buildings, and also specialize in automation systems for manufacturing processes. Rustically Signed will be opening a marketplace and workshop space on the third floor of Pie Eyed Monk Brewery (8 Cambridge St. N., Lindsay) on May 4, 2019. Holly Suddick of Little Britain and Stephanie Buckley from Lindsay started their home décor business in 2016 as a “side gig” three years ago, creating custom hand-crafted items, and it has since grown into a booming business. 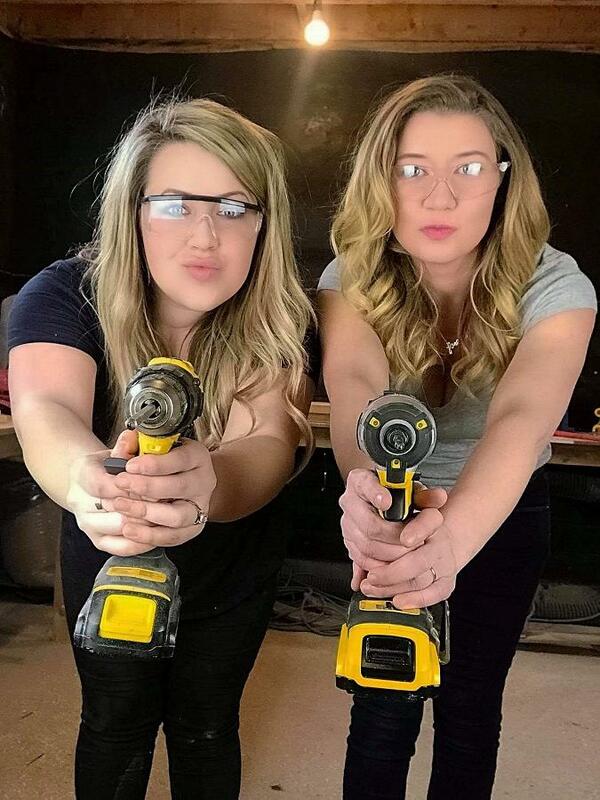 They will be offering sign-making and woodworking DIY workshops in the new space, and are also looking for around 20 vendors selling unique handmade items to join the marketplace. For more information on Rustically Signed and to become a vendor, visit rusticallysigned.com. The Peterborough Downtown Business Improvement Area (DBIA) and Peterborough GreenUP have been nominated for an “Streetscaping and Public Realm Improvements – Large” award from the Ontario Business Improvement Area Association (OBIAA) for the Vibrancy Depave Project. 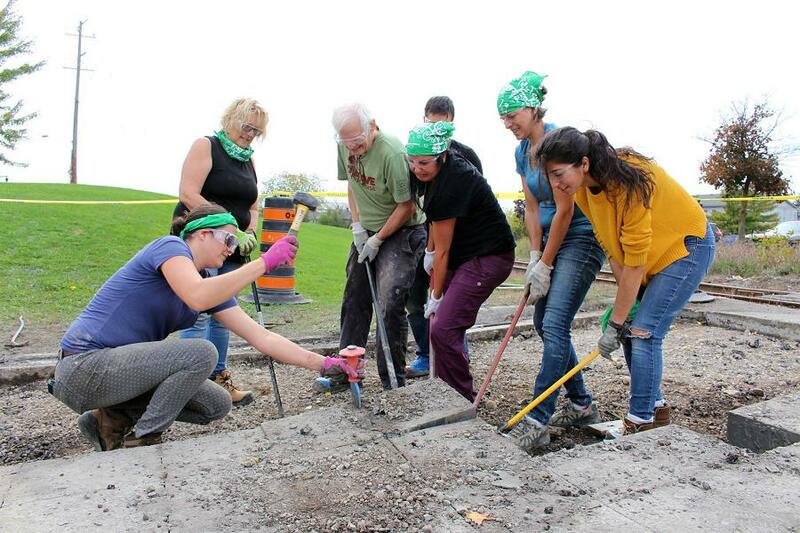 GreenUP partnered with the Peterborough DBIA and the City of Peterborough in 2018 to bring the Depave Paradise project to downtown Peterborough, as part of the Downtown Vibrancy project led by the Peterborough DBIA. The first phase of the project saw 782 square metres of asphalt removed from an unused loop of road at the southern end of Water Street next to Millennium Park in downtown Peterborough. The next phase of the project, to be completed in late spring, will see the creation of a rain garden on the site. More than 1,000 plants will be added to the garden, providing water management to help protect the water quality of the Otonabee River and to mitigate flooding in the downtown area. The winner of the award will be announced on April 1, 2019 at the OBIAA Gala Awards Night in Ottawa. 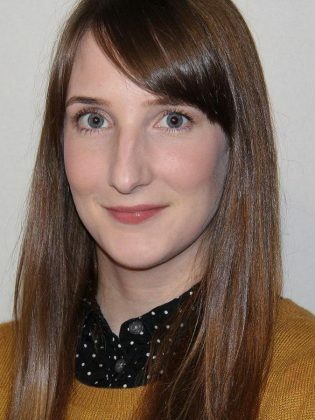 The board of directors of the Peterborough Symphony Orchestra (PSO) has announced that Sarah Lazure is leaving the organization in April to pursue another career opportunity. Lazure has been the PSO’s artistic director since August 2015 and also held the role of general manager during the current season. “Since joining us, Sarah has been on the ground floor of the PSO’s artistic and logistical planning,” says the PSO’s music director and conductor Michael Newnham. The PSO is currently recruiting a new general manager. 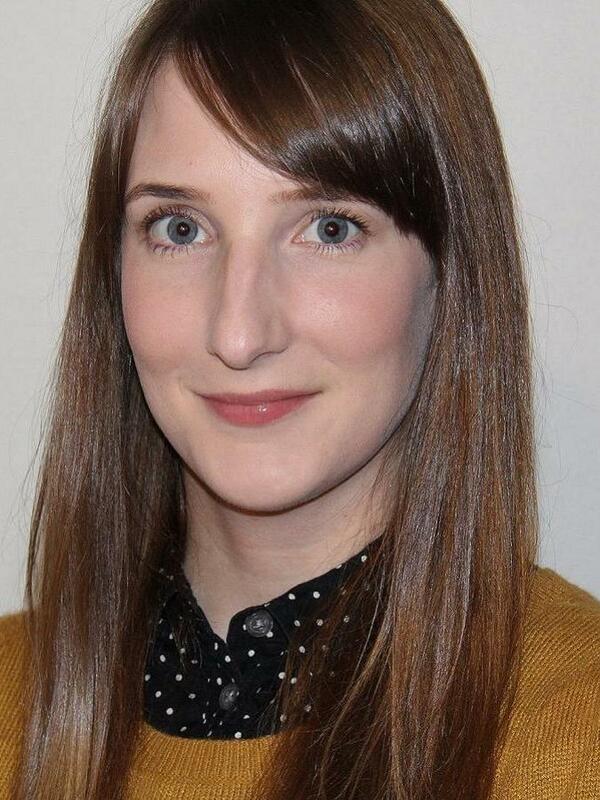 Until a new general manager is hired, the board of the PSO will guide the organization with the assistance of Newnham. 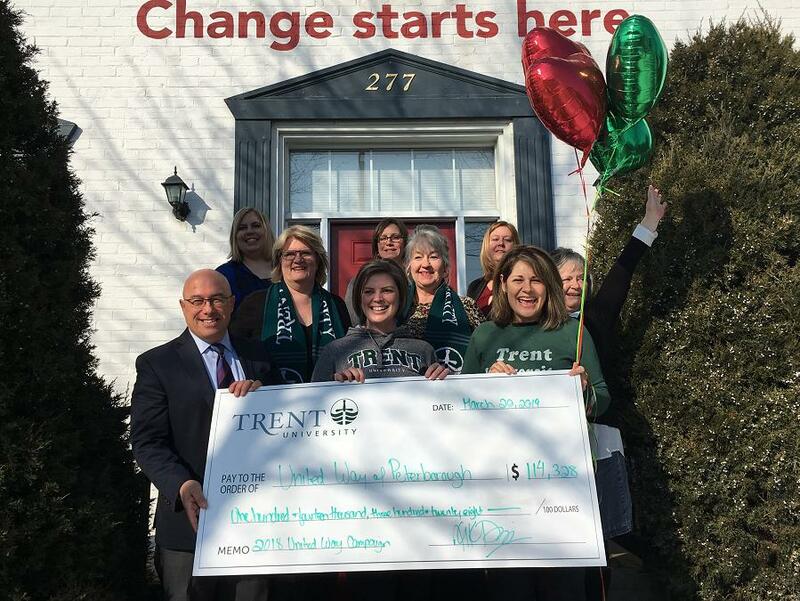 Trent University faculty, staff, and retirees have raised $114,328 for United Way Peterborough & District’s 2018-19 campaign. The funds were raised through payroll pledges and donations as well as many employee-led special events, including a chili cook-off, white elephant tables, and a gift basket raffle before the holidays. Trent University has supported the United Way since 1965 and has raised more than $2 million for the organization. 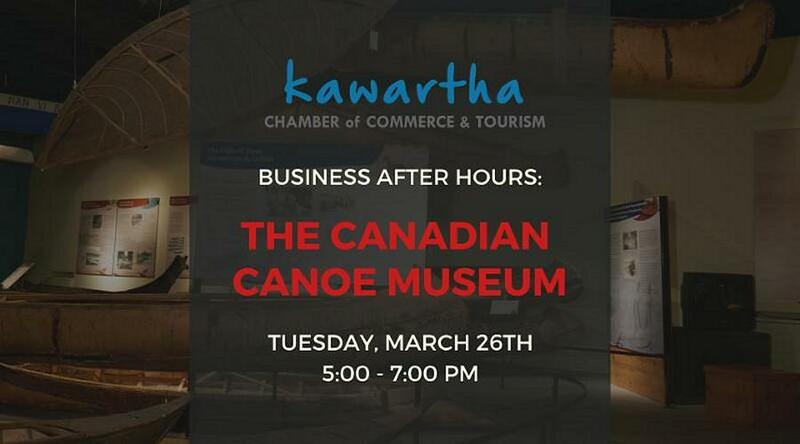 Nominations are now open for the Kawartha Chamber of Commerce & Tourism’s 20th annual Business Awards of Excellence. 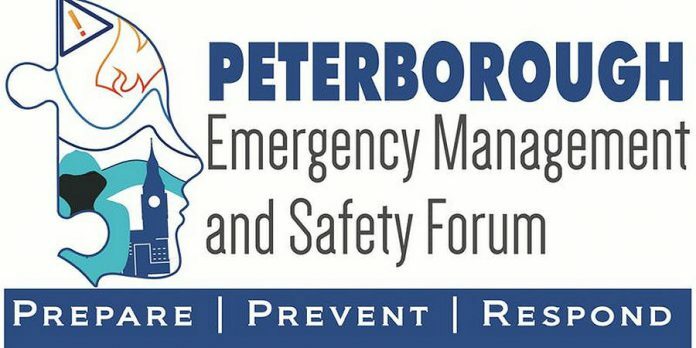 Any business, individual, or organization within Peterborough County or the City of Peterborough can be nominated in one of 10 categories: Citizen of the Year, Young Professional, Outstanding Business Achievement, Commercial Development or Renovation, Customer Service Excellence, Entrepreneur Innovation, Not-For-Profit Excellence, Retailer of the Year, Service Sector Excellence, and Tourism/Hospitality. The deadline to submit a nomination at kawarthachamber.ca/nominations is April 30, 2019. The awards will be presented at a gala event on October 10, 2019. The Haliburton Highlands Chamber of Commerce is hosting its 13th Annual Business & Community Achievement Awards Gala at 5:30 p.m. on Saturday, March 30th at Pinestone Resort & Conference Centre (4252 Haliburton County Rd. 21, Haliburton). Awards will be presented in the following categories: Business Achievement, Customer First – Business, Customer First – Employee, Entrepreneur of the Year, Highlander of the Year, Innovation & Creativity, New Business, Not-for-Profit of the Year, Skilled Trades & Industry, Tourism & Hospitality, and Young Professional of the Year. The event will feature a reception with live entertainment and cash bar along with a dinner and awards ceremony emceed by Mike Jaycock. 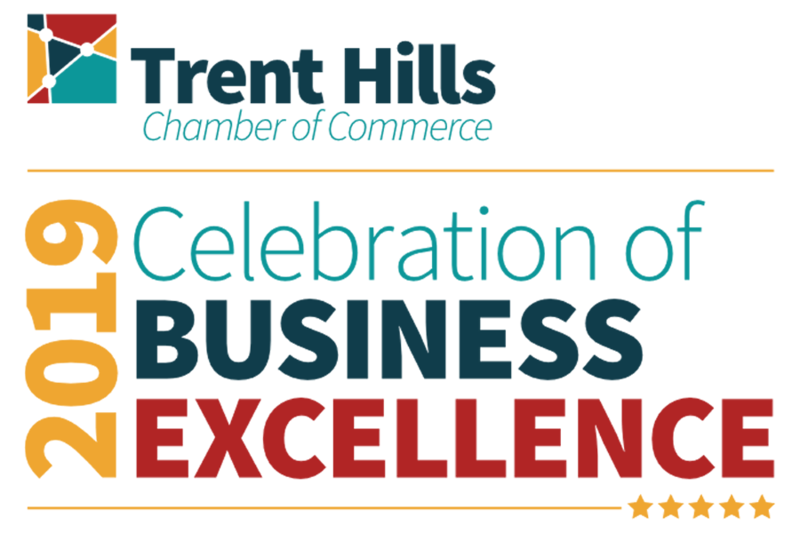 A reception takes place at 6:30 p.m. followed by the awards ceremony at 7:30 p.m., and are available at business.trenthillschamber.ca/events/details/celebration-of-business-excellence-awards-ceremony-3316.